It’s a welcome sight around here- galvanized buckets hanging from trees just about everywhere you look are a sure sign that spring is coming. 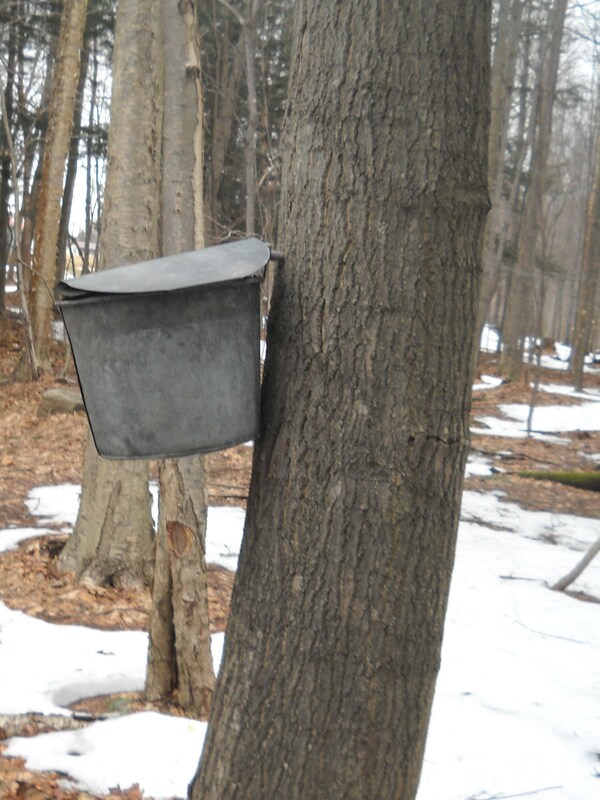 Maple syrup time. Now, admittedly, this is not the syrup kingdom of New England…but we still get pretty excited about syrup around here. My in-laws added syrup cooking to their list of farming skills last year, and we are thankful for that! Although it seems that the walk through the mud was of more interest to the kids than the visit to the sugar shack to watch the boiling process, it does prove helpful in teaching them where their food comes from- well, where it should come from. As we devour pancakes and waffles and bowls of oatmeal dripping with the sweet efforts of our family, we are certainly thankful for their patience and labor. It’s delicious.